D&K Home Products is a professional awning, sunroom, screen room, three season room, all season room, porch enclosures, LOCAL manufacturer proudly serving the Quad City areas of Iowa and Western Illinois. Areas such as Moline, IL, Rock Island, IL, Moline, East Moline, Silvis, Colona, Milan, Sherrard, Davenport, IA, Bettendorf, IA, Walcott, IA, Eldridge, IA, LeClaire, IA, Blue Grass, IA, Buffalo, IA, Clinton, IA, Maquoketa, IA, Princeton, IA, Wilton, IA, Durant, IA, Muscatine, IA, and surrounding communities of the Quad Cities. States served Iowa, Illinois. Aluminum Awning Manufacturer largest in the midwest. We are a local manufacturer, no kits here, we manufacture our products to fit your exact needs. 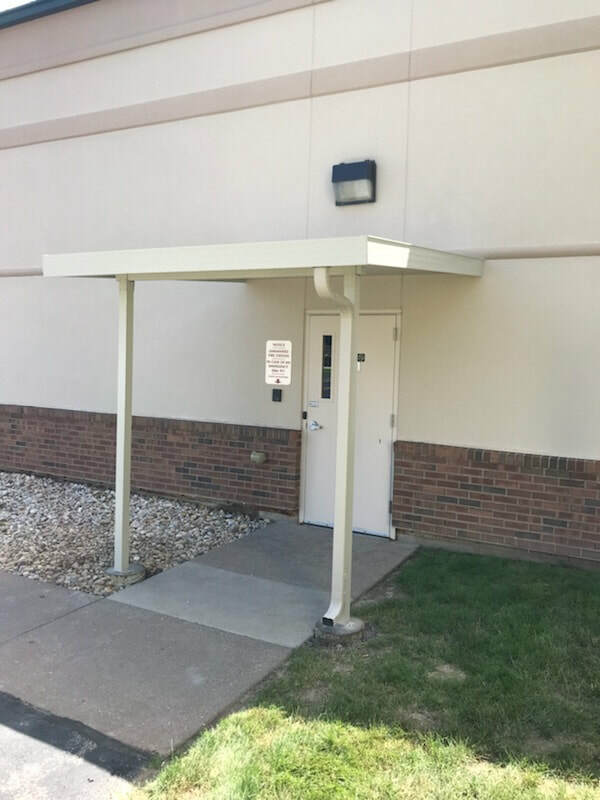 Many others try to copy but our system of awnings, sunrooms, screen rooms, 3 season rooms have been proven and manufactured right here in the Quad Cities. For over 40 years since 1968, D&K has been providing quality awning, patio and deck cover and home exterior products and services to the Quad Cities, Iowa and Illinois regional residential and commercial owners. As a Quad City Davenport Iowa, aluminum awning manufacturer and manufacturer of canvas awnings, aluminum patio covers car ports, porch, patio covers and deck covers, aluminum screen enclosures, sunrooms, aluminum 3 season rooms with vertical windows by Sunspace, to create Better living spaces for your space and lattice and pergola lattice products, solar screens and retractable awnings by Sunsetter, and Sunesta, D&K has what you need for your home or business! No project too small check out our canvas awning and aluminum awning specialty products today. Our design team can help you create a new, up-to-date look for your home or business, or freshen up your existing structures with exterior custom aluminum canvas awnings, deck covers and enclosure products. Our service department is available to repair or replace your screens, screen doors, and canvas awning covers. As an aluminum awning manufacturer, we manufacture aluminum awnings, canvas awnings and ship across the nation, our dealers are lumber yards, awning companies and contractors. Call us today for a dealer near you. Visit our Quad City Davenport Iowa outdoor showroom and call us today for a free estimate! View our Screenroom, Sunroom, 3 season Room, and 4 season room and patio cover display, along with our retractable awnings, Solor shades. We are working with Four Season Sunrooms. To be able to offer the glass roof option for our customers interested in Four Season Sunrooms, Solariums and Glass roof Sunrooms. We service the local area of Davenport Iowa, Bettendorf Iowa, Leclaire Iowa, Dewitt Iowa, Maquoketa Iowa, Blue Grass Iowa, Buffalo Iowa, Muscatine Iowa, Walcott Iowa, Eldridge Iowa, Wheatland Iowa, Clinton Iowa, Moline Illinois, Rock Island Illinois, East Moline Illinois, Milan Illinois, Sherrard Illinois, Orion Illinois, Silvis Illinois, Geneseo Illinois, Rockford Illinois, Coal Valley Illinois, Colona Illinois, Carbon Cliff Illnois, and areas that support our quad city area. We have been busy here at D&K finishing up projects for the year! If you are looking to add a sunroom now is a great time to plan for the upcoming season! Contact us today! Thank you for visiting our website! We appreciate your interest in our company. We work hard to provide our customers with quality products and services. We work hard to establish relationships with our customers. Our customers need to feel comfortable with the company they are working with. We have stood the test of time. We are quickly approaching our 50 years in business and are very proud. As with any company, we continue to strive to be the best at what we do. ​ Thank you for visiting our site, and hope you will visit us and view our products in our outdoor show room soon! 6 & 12 months no interest, no payment financing! Send us pics of your project!